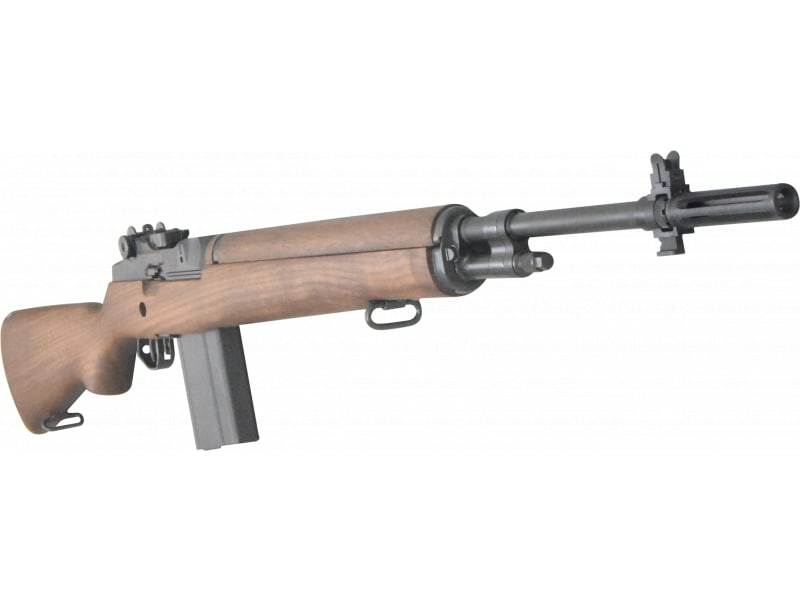 M14 Rifle Left Handed Full Length in Original Military Configuration, Walnut, .308, Semi Auto - By James River Armory. 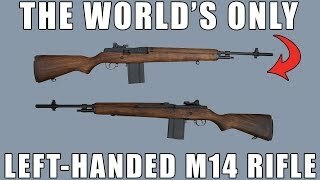 The World's First Left Handed M14!! Bula Defense proves the place as an industry leader by being first to offer a Southpaw version of this military classic! This beautiful new M14 rifle is a joint collaboration between Bula Defense Systems, and James River Armory. Rifle has a band new all forged Bula Defense premium grade receiver on it which serves as the building block for one fantastic rifle. Also has a new Bula Defense barrel as well as many other all newly manufactured parts. This rifle is proudly built by James River Armory. JRA is recognized as one of the leading builders in the world of historically correct U.S. Military firearms and this may well be their crown jewel. 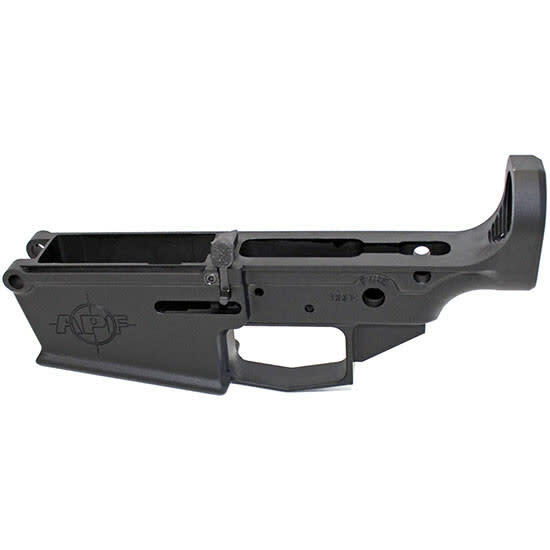 Rifle has been re-engineered to provide a left hand side charging handle and ejection port while still retaining all of the original military characteristics of a standard M14 rifle. This beautiful new Left Handed M14 rifle is a joint collaboration between Bula Defense Systems, and James River Armory. The rifle has a band new all forged Bula Defense premium grade receiver which serves as the building block for one fantastic rifle. Rile also has a new Bula Defense barrel as well as many other all new U.S. manufactured parts. 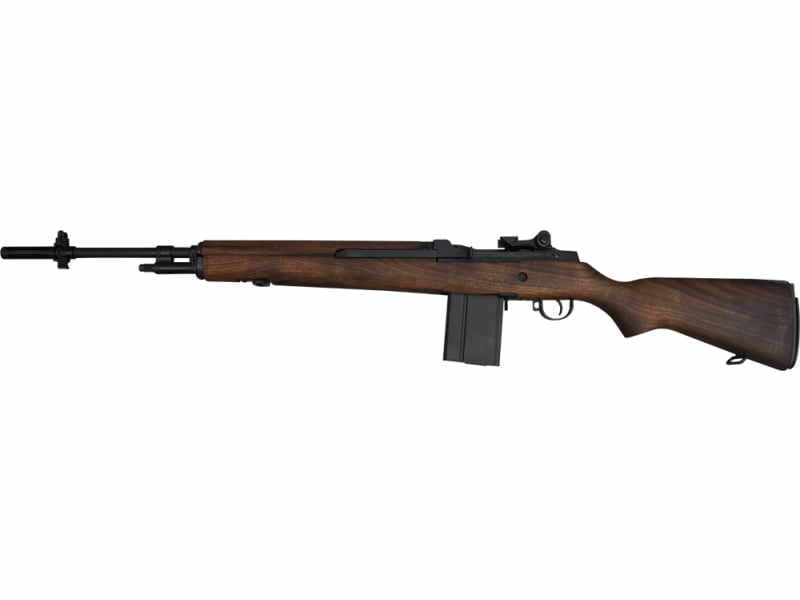 This Rifle has been re-engineered to provide a left hand side charging handle and ejection port while still retaining all of the original military characteristics of a standard M14 rifle. It is not a factory re-work but rather the entire rifle from the forged receiver up has been factory built as a left handed rifle. As such the workmanship and reliability is top notch. This rifle is proudly built by James River Armory. JRA is recognized as one of the leading builders in the world of historically correct U.S. Military firearms and this may well be their crown jewel. From it's forger receiver, to it's historically correct Black Walnut wood stock and matching hand guad this rifle has it going on. Fully warrantied by James River Armory. Ships with manual, warranty cards and 1-20 round magazine all in a hard case for maximum protection. 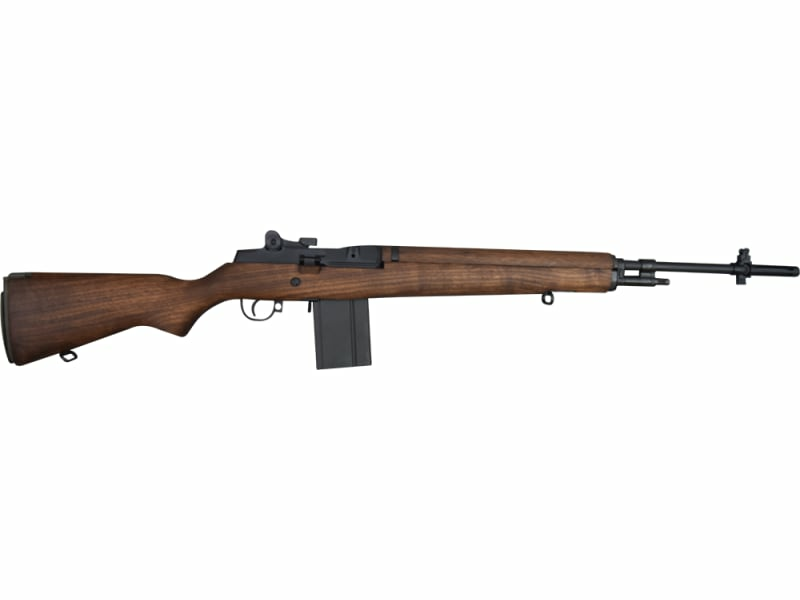 M14 RifleLeft Handed Full Length in Original Military Configuration, 7.62x51 / .308 Winchester Walnut, Semi Auto - By James River Armory.